Anthony graduated from the University of North Dakota’s DPT program in 2016 and was the president of his class. Succeeding graduation, Anthony was accepted into Sanford Health’s Orthopedic Physical Therapy Residency Program in Fargo, ND for the 2016-2017 year. This opportunity allowed Anthony to receive advanced training and mentorship using the most current evidence-based information while working as a full-time therapist. 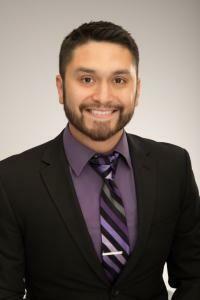 After successful completion of the residency, Anthony worked at Sanford Broadway Clinic in Fargo, ND in the outpatient orthopedic physical therapy department. While employed here he sat for his Orthopedic Clinical Specialist examination in March 2018 to receive his OCS credential. He specializes in anything orthopedics from the top of the head to the bottom of the foot, including the TMJ. Anthony is also well-versed in spinal manipulation, vestibular disorders, pelvic floor dysfunctions and post-surgical rehabilitation. Anthony has completed several hours of continuing education to further enhance his skills as a therapist and has a passion to keep learning. Anthony’s additional certifications come from The American College of Sports Medicine as a Certified Exercise Physiologist (EP-C), Kinesio Taping Association International as a Certified Kinesio Taping Practitioner (CKTP) and National Strength and Conditioning Association as a Certified Strength and Conditioning Specialist (CSCS), though he only keeps the CSCS current. Anthony joined Total Balance in 2018 and opened their 2nd location in Fargo, ND. When he is not working and learning Anthony enjoys spending quality time with his wife going to the lakes, movies and on random adventures. Anthony also enjoys disc golf, competes in a corn hole league, has a passion for fitness and follows college and USA wrestling. He and his wife reside in Fargo with their 2 cats, Gryffin and Raven.